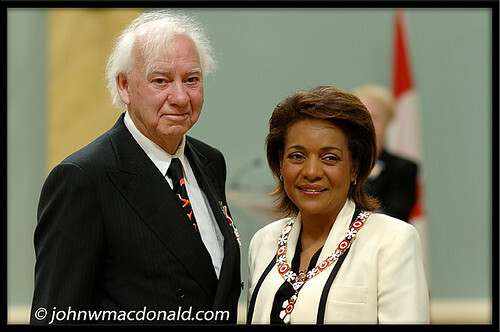 John W. MacDonald's Weblog: Leon Rooke, C.M. Leon Rooke, C.M., originally uploaded by johnwmacdonald. Hailed as one of Canada’s most important literary figures, Leon Rooke has had an influence far beyond his craft. A writer with seven novels, 16 short-story collections as well as plays and poems to his credit, he is known for originality and integrity. This winner of the Governor General’s Literary Award and W.O. Mitchell Prize is also known as one of the most generous mentors in his field. Founding artistic director of the Eden Mills Literary Festival, he has given countless hours to emerging writers, and his protégés include some of the most prominent authors in Canadian fiction.